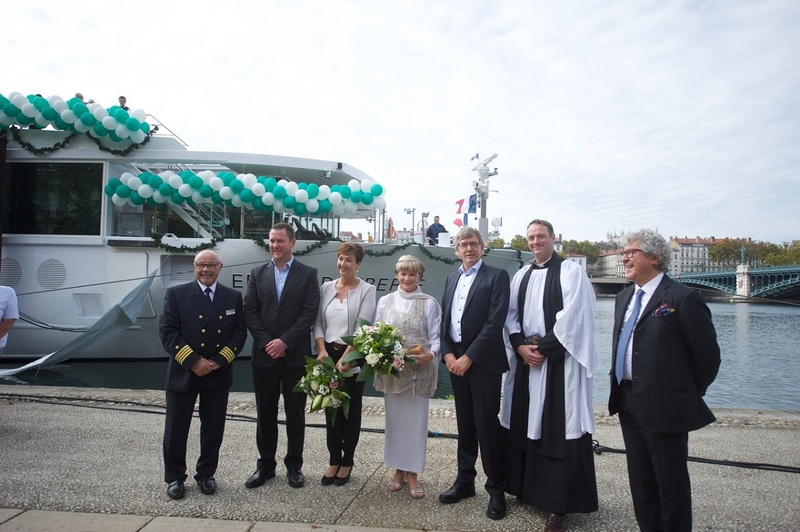 Emerald Waterways held its final launch for 2017 with Emerald Liberté, the third in the trio of new Star-Ships, officially christened on Sunday 1 October in Lyon, France. Australian travel industry veteran and long-standing cruise and tour director Maxine Collins took the honours as Godmother during the official Christening ceremony yesterday. “It’s a real honour and a privilege to be Godmother of this beautiful ship, Emerald Liberté, and I wish all who sail on her safe passage and a wonderful journey through the magnificent south of France,” said Ms Collins. David Winterton, Global Brand Curator for Emerald Waterways, commented: “We’re delighted to have Maxine as the Godmother of Emerald Liberté, the latest Star-Ship in our rapidly growing fleet. She has lead many guests around the world during her 28 years with the company, and was a standout choice for the role of Godmother. As Emerald Waterways’ first Star-Ship in France, Emerald Liberté has been custom-built, yet still features Emerald Waterways’ trademark clean lines and contemporary style, plus innovations like the pool which turns into a cinema at night, and drop-down glass balcony windows in all suites. The boutique ship has a capacity of 138 guests and a crew-to-guest ratio of 1:3 ensuring a high level of service. Emerald Liberté cruises on the Rhône and Saône Rivers through the ever-popular Provence and Burgundy region on eight-night itineraries from either Lyon or Arles between April and October. The itinerary includes Chalon-Sur-Saône, Beaune, Macon, Tournon, Arles and of course historic Avignon where guests are also treated to an on-board, Provençal-style highlight dinner by acclaimed local chef and Top Chef France finalist, Fabien Morreale. For more information or to book with Emerald Waterways visit www.emeraldwaterways.co.uk in the UK.